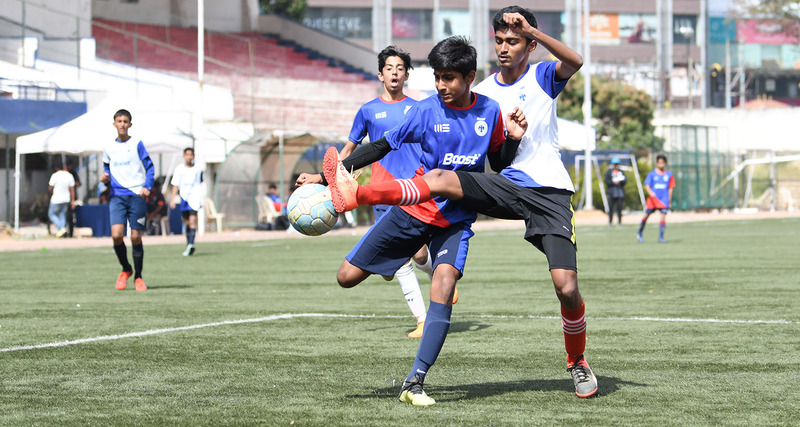 Bengaluru: Bishop Cotton Boys’ School scored 21 goals in two wins to keep their hopes of a knockout berth alive on the seventh day of the BOOST BFC Inter-School Soccer Shield 2019 at the Bangalore Football Stadium, on Monday. The Cottonians began the day with a massive 16-0 win over Iqra International School. Udith scored six goals, while Fayaz chipped in with four as they logged the biggest win in the category, eclipsing DPS North’s 15-0 win on Sunday. 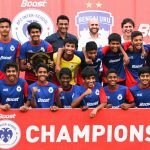 Later in the day, they overcame Vibgyor High School, Haralur 5-0 to make it 21 goals for the day and keep their hopes alive for a place in the knockout stages of the tournament. Meanwhile, Kendriya Vidayala’s Ashnash continued his good form as he scored five goals for the second time in the group stage helping his side to an 8-0 win over Notre Dame Academy as they too booked their place in the quarterfinals. 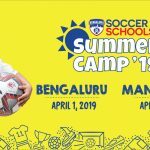 Ahead of the penultimate day of the competition, Delhi Public School North, Head Start Academy, Greenwood High International School, Delhi Public School East and St. Josephs Boys’ School have joined Inventure Academy and Kendriya Vidayala, Hebbal in the knockouts of the Boys’ U14 category with just one more place up for grabs in Group D.